Food & Drink: Started in New York, Hill Country opened last year in the Penn Quarters area. 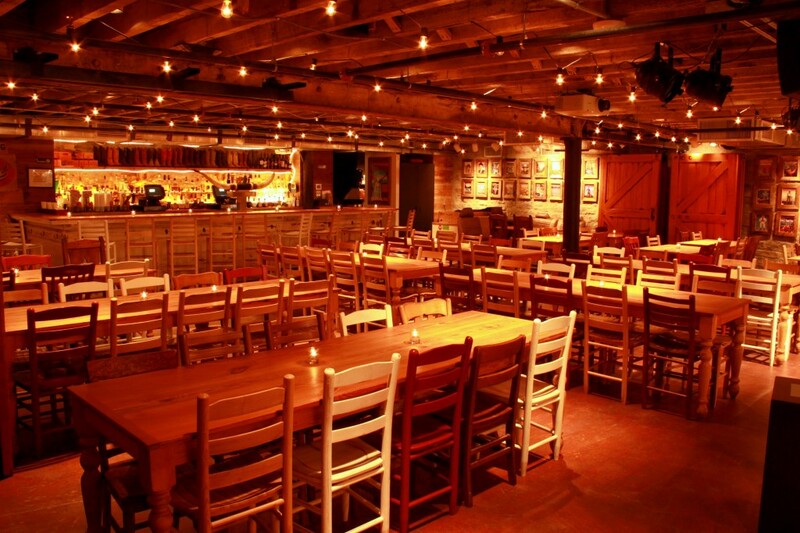 Private Dining Options: Hill Country has 1 private dining option and 1 semi-private option. The Boot Bar downstairs is the place to be! It can seat 120 comfortably, or 200 standing, and can be divided into 2 private spaces. It features its own long bar and a stage for live music. Upstairs in the main dining room, they have a raised balcony area (semi-private) than can hold about 20 guests. Their private dining meals can be served buffet style or family style. Their Barbecue Chowdown Package is $55pp ++ and includes 4 courses. Their Family-Style seated menu is $45pp ++. Open bar package is $20pp per hour. Please contact Rachael Carney, Catering and Events Manager, for your updated menu. Transit & Parking: The closest Metro rail stop is Archives Metro Station. Valet parking available for $10/car on the weekend and for weekday event, please inquire with the restaurant. There’s also a parking lot behind the restaurant with street access just a couple doors up from its entrance. The large space downstairs can accommodate a large group. You can invite those not invited to the rehearsal dinner to join in for a welcome party afterwards. There is a stage for live music option. Guests staying at the Hotel Monaco or Courtyard Marriott in Chinatown can walk to the restaurant. Centrally located, a good option if your reception is at Newseum, Hotel Monaco, Ronald Reagan Building, Andrew Mellon Auditorium, Harman Center for the Arts, and many other hotels and venues in the downtown area . Your guests can wander around Penn Quarters and Chinatown area before or after dinner. Evening rush hour can be a nightmare in that area. Traffic and crowds can also be an issue if there is a sporting or special event at the Verizon Center. 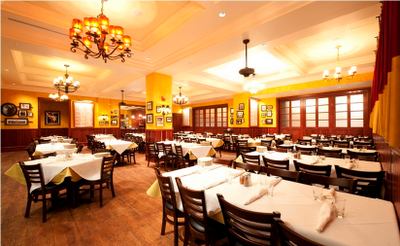 Food & Drink: Family style southern Italian restaurant which started in New York. 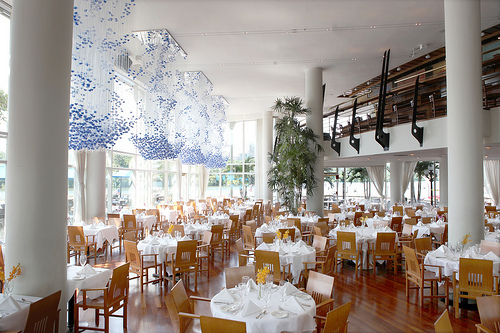 It boasts the largest dining spaces in Washington, DC. 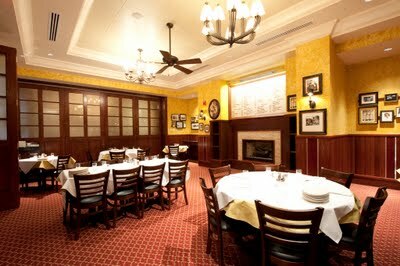 Private Dining Options: Carmine’s has 9 options for private or semi-private dining, ranging from 2 boardrooms that seat 18 to the back dining room that seats 120 people with its own private bar. Their sample menus ranged from $38-$55++ but please contact for Kyle Carnegie, Director of Special Events and Catering for your updated, customized menu. Transit & Parking: The restaurant provides valet parking for $11. The closest Metro rail stop is Gallery Place/Chinatown. The menu rarely changes so it would be easy to plan the menu for your event far in advance. Guests staying at the Hotel Monaco in Chinatown can walk to Carmine’s. Centrally located, a good option if your reception is at Hotel Monaco, Ronald Reagan Building, Andrew Mellon Auditorium, Harman Center for the Arts, and many other hotels and venues in the downtown area . Your guests can wander around Chinatown area before or after dinner. Evening rush hour can cause heavy traffic congestion. Traffic and crowds can also be an issue if there is a sporting or special event going on at Capital One Arena. 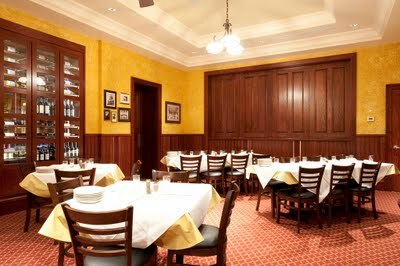 Carmine’s DaVinci Room can seat up to 72 guests and also has its own private bar. The sliding doors can open to join with the adjacent Toscanini Room for larger events. Featuring a fireplace, the Toscanini Room can seat 52 people. Food & Drink: The restaurant recently overhauled its menu and culinary staff, bringing in a new chef from the Mandarin Oriental Hotel. The new menu is more refined, focusing on modern American cuisine. Private Dining Options: Sequoia has 3 options for private dining. The private State Room seats up to 100 without a dance floor or 75 with a dance floor, and has its own bar and outdoor terrace. 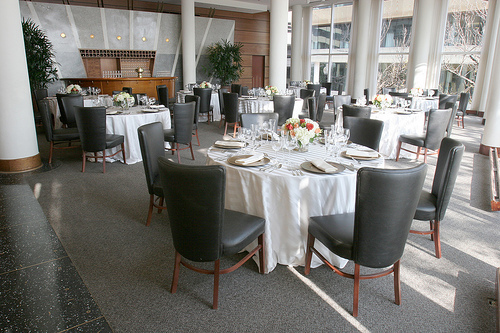 The semi private Mezzanine overlooks the main dining room can seat up to 32 or 40 for a standing reception. Your third option is the Main Dining Room which will seat up to 250 without a dance floor or 200 with a dance floor and includes access to the Mezzanine Level and a semi private outdoor terrace. Their sample menus ranged from $45-$95 but please contact for Scott Moon for your updated, customized menu. The restaurant would also be a wonderful choice for an intimate wedding. Transit & Parking: There is a parking garage under the restaurant. The closest Metro rail stop is Foggy Bottom. A good option if your reception is at Halcyon House, House of Sweden, Four Seasons, Georgetown University Hotel & Conference Center, and Dumbarton House. Your guests can wander around Georgetown before or after dinner. The closest Metro rail stop is Foggy Bottom, which is a bit of a walk.